Greetings from an autumnal London! 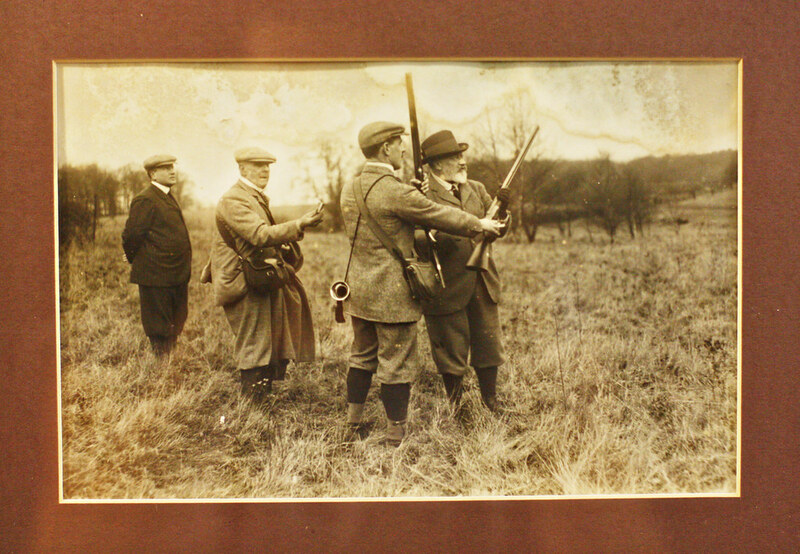 For my latest King’s Ginger investigation, I am going to write about a slightly controversial subject – shooting. Or, more specifically, guns. Disclaimer: I’ve done clay pigeon shooting before, but I could never shoot something alive. 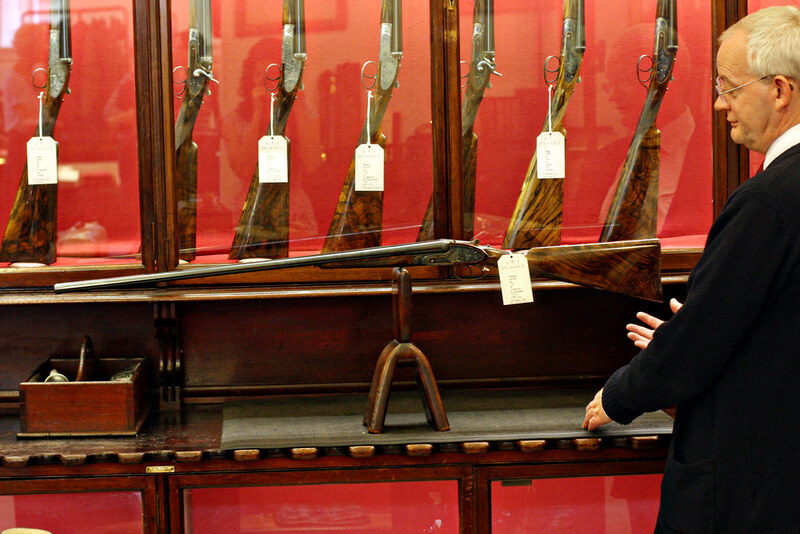 But I really enjoyed writing this piece, because the guns I got to look at during my visit to Purdey in Mayfair are true works of art, and the history of is long and interesting (and of course, intermingled with lots of King Edward VII), so I hope you find it all as fascinating as I did! It’s currently Game Season for almost every type of game in the United Kingdom, from pheasants to grouse to ducks and male deer, so it’s a good time as any to be writing on this subject. 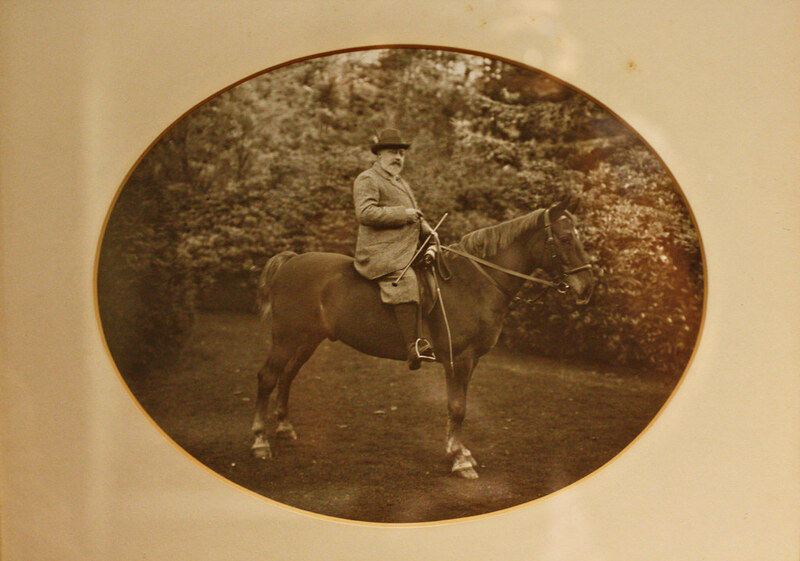 King Edward VII was a great hunter, as were most members of the gentry at the time – it was a noble pastime in an era when animal rights were less important (although I have written about the King’s help in the formation of the RSPB, a slight double-standard there). 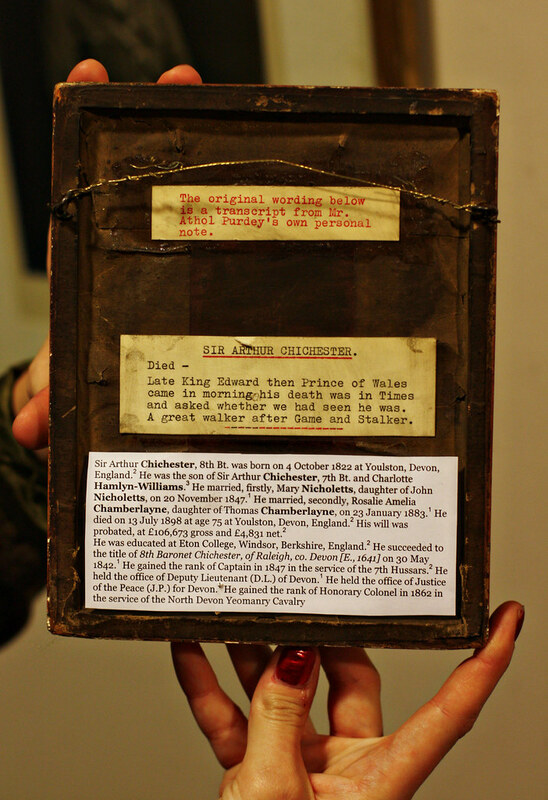 This is the story about his gunmaker, to whom he awarded the Royal Warrant. James Purdey the First was London-born of Scottish heritage, and he worked as a blacksmith in the Minories – London’s gun-making quarter. When his son, James Purdey the Second, was of age (age being 14), he was apprenticed to a gunmaker and upon finishing, he secured himself a position as a stocker (the person working on the stock, or wooden bit, to use the technical term) at England’s greatest gunmaker at the time, Joseph Manton. 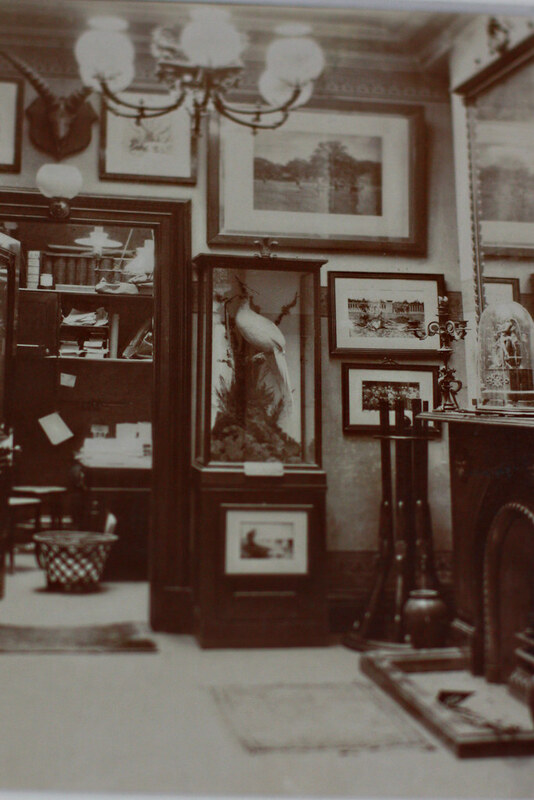 He was incredibly well-regarded: it was said that guns stocked by James Purdey always fitted the best. Then, in 1814 after a few years at another highly prestigious gunmaker, Forsyth’s, the ambitious and talented Purdey decided to go it alone. 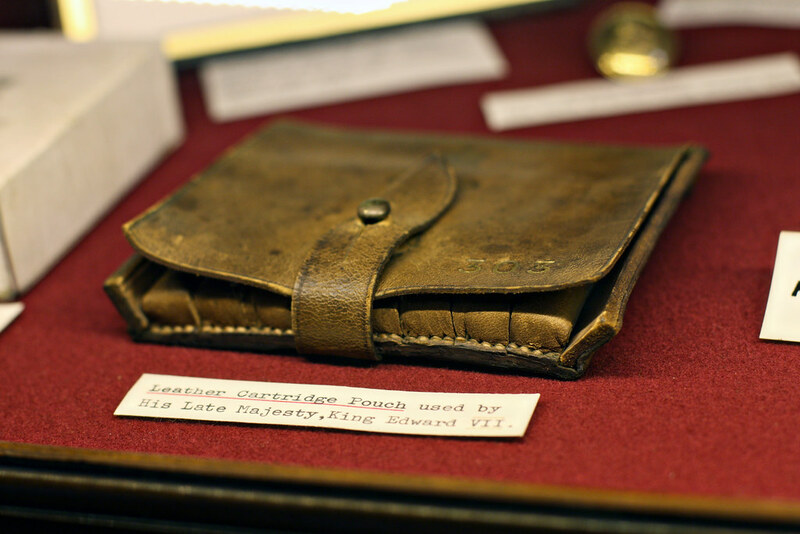 He opened his own shop at 4 Princes Street, near Leicester Square, building single and double flintlock guns, duelling pistols and rifles. 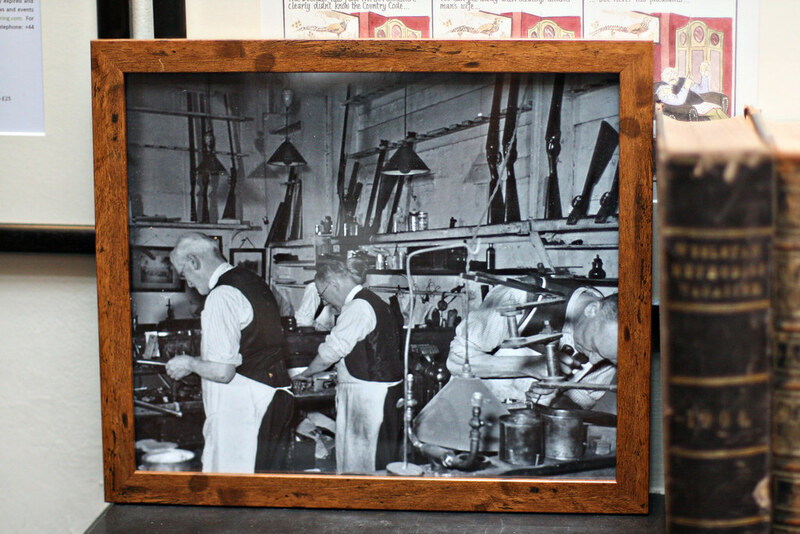 To cut a long story undeservedly short, after taking over the shop’s lease from his previous employer, Manton, Purdey’s combination of impeccable craftsmanship and the long-standing fame of the shop meant that it was only a matter of time before royalty caught wind of his wares. In 1838, Queen Victoria ordered a pair of double-barrelled pistols from Purdey’s, as a present for the Imam of Muscat. 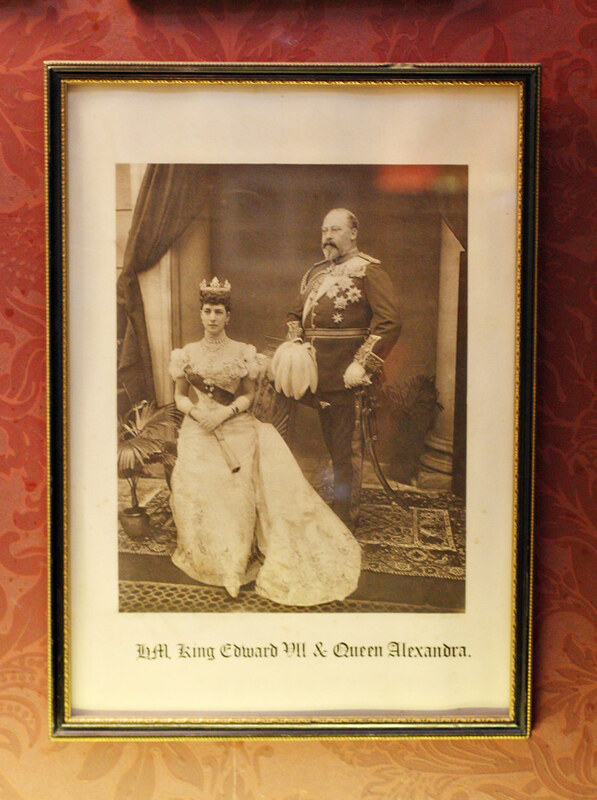 From that date onwards, the Royal Family became regular patrons. But now we move into the most pertinent (Purdeynent? 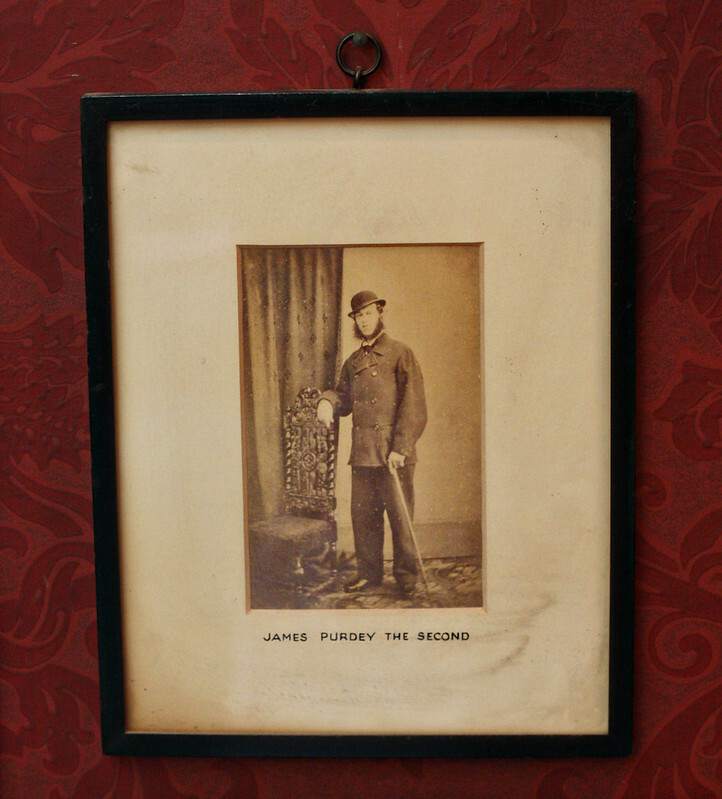 …sorry) era of the firm’s history – that of James Purdey the Younger, son of the aforementioned James (who was the second James as mentioned above… do keep up), who took over the firm in 1858. 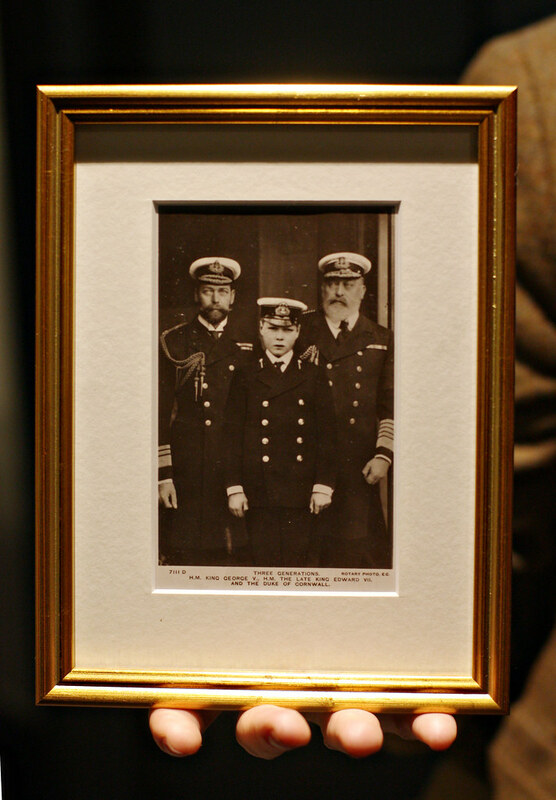 It wasn’t until 1868 that our hero enters the picture. 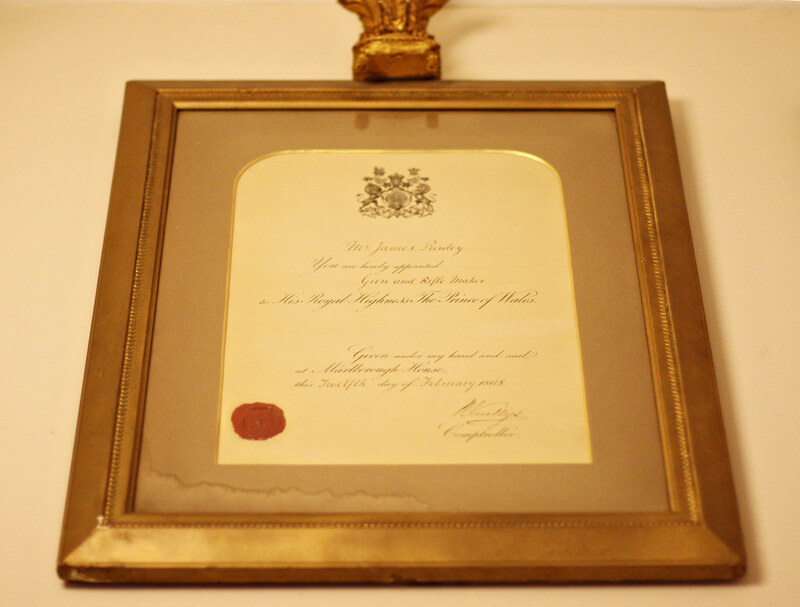 On the 12th February at the age of 26, Bertie awarded Purdey’s his Royal Warrant of Appointment, while he was still the Prince of Wales. 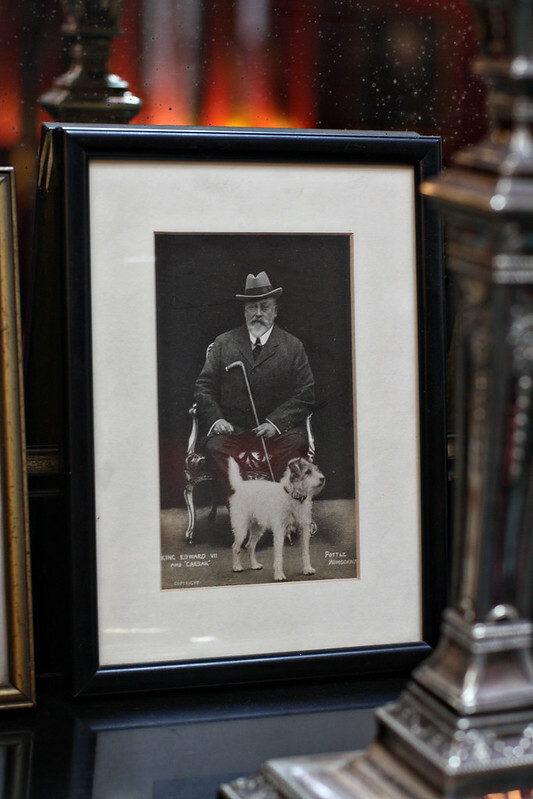 Here’s a portrait of his Highness and the actual Warrant (click to see it bigger), hanging proudly in the front shop! 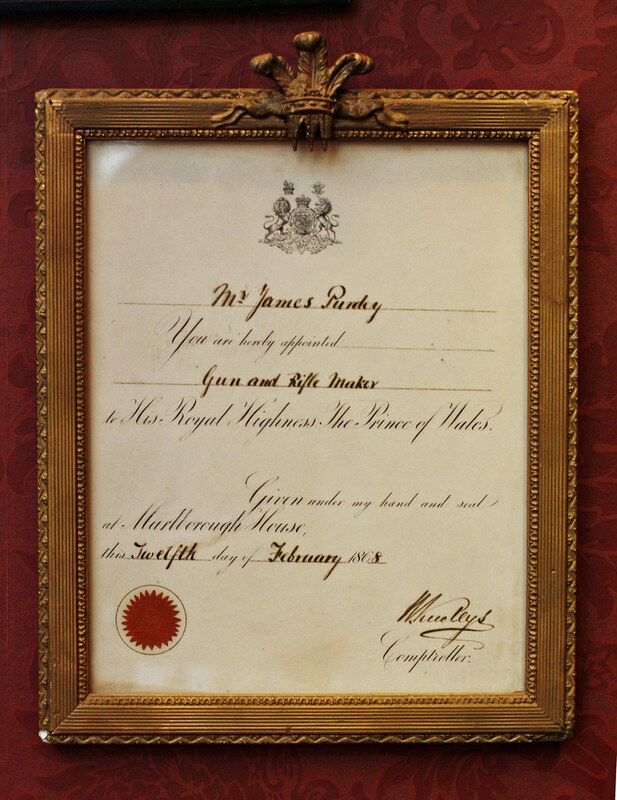 A decade later, on 28 March 1878, Queen Victoria also assigned a Royal Warrant to Purdey, as has every British monarch since (They currently have Warrants from HM the Queen, the Duke of Edinburgh and the Prince of Wales). 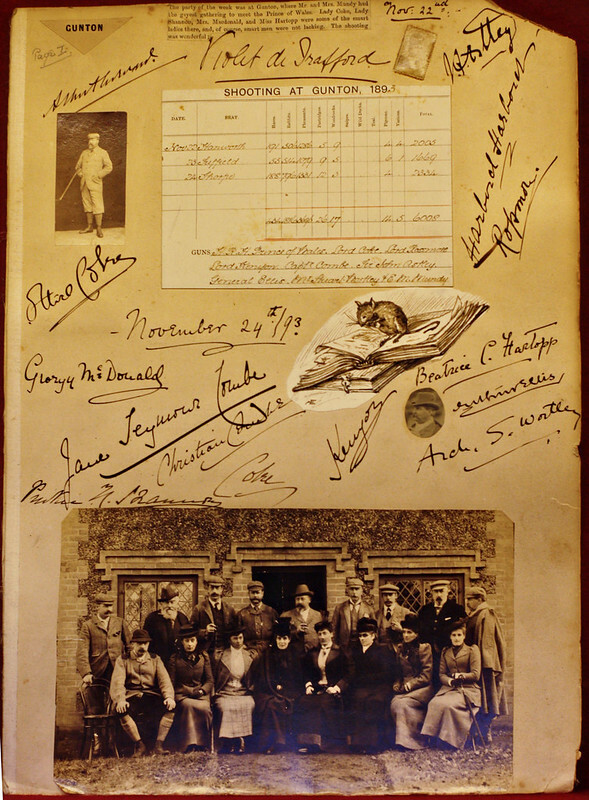 But this brings us to the ‘modern’ history of Purdey, and a super interesting time of innovation in gunmaking, including an invention that completely revolutionised gun construction, to the point where nothing much has changed as it can’t be improved upon, even 134 years later. 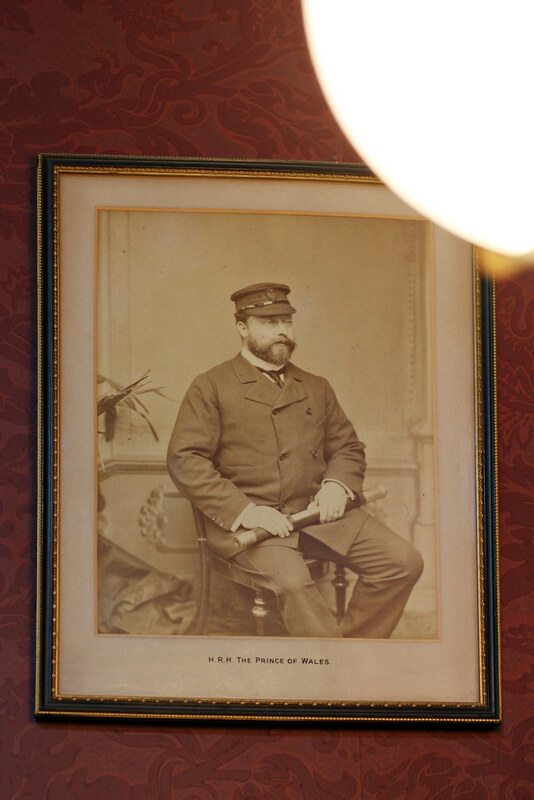 Such prestigious customers secured Purdey’s success and in 1883, Audley House in Mayfair was built. 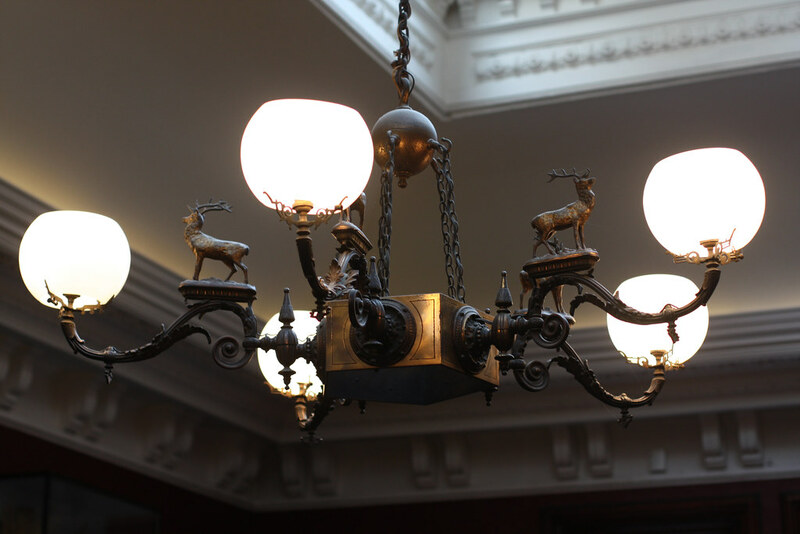 It was, just like the guns, entirely bespoke, and came to be known as a ‘Palace amongst Gun Manufactories’. It’s been there ever since (although guns are no longer made underneath it) and on the day I visited, I got to have a good old rummage around. 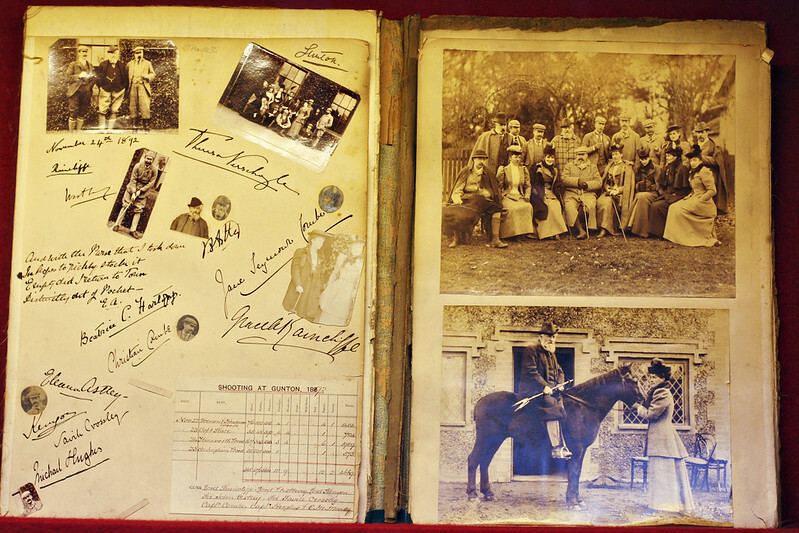 There’s much in the way of original features around the premises and a lot of Edward memorabilia dotted about the place, especially in the Long Room. 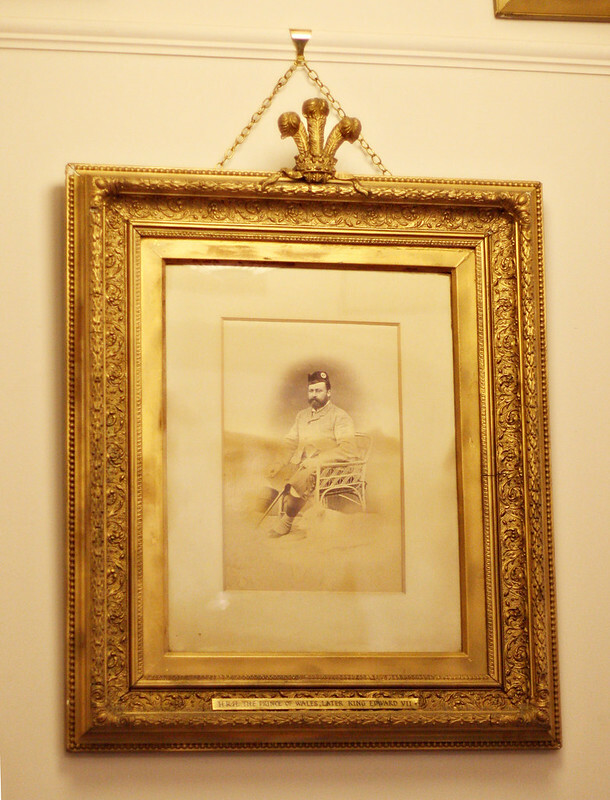 There are also lots of pictures, many of them downstairs, of the King (or Prince, depending on the year), shooting or doing thing associated with shooting! 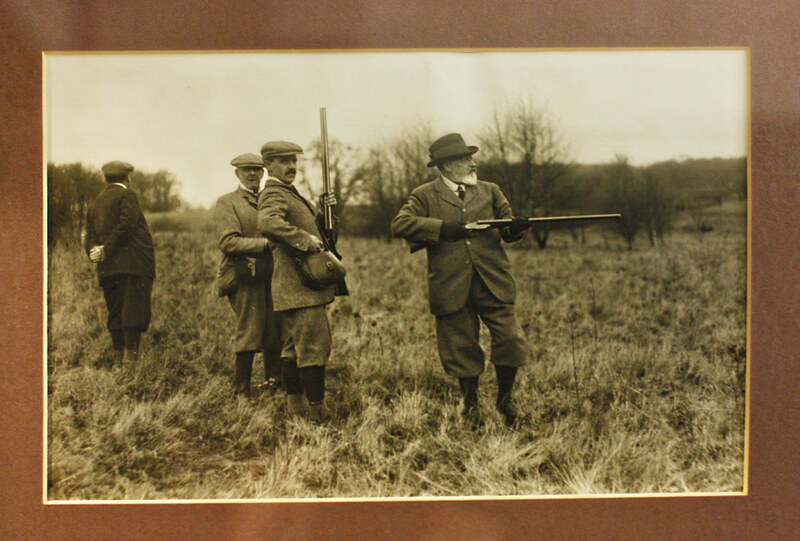 The King shooting in the early 1900s, two in a series! The King weighing down a stoic-looking horse, I assume the same day! He also used to regularly pop in when he was in the area, something that I could never imagine the Queen or Prince Charles doing (or being able to do, more to the point). 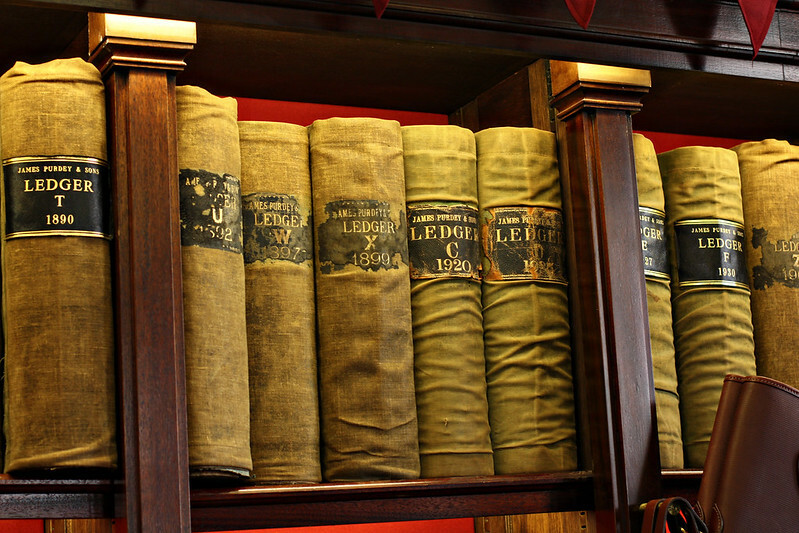 The hands of the very lovely and knowledgeable Purdey archivist Pippa. And he gave gifts to his gunmakers. One which took pride of place in the shop for many decades was a stuffed albino peacock, sadly no one knows exactly where it went but Pippa found a picture in a history book! But what about the actual products? After all, they haven’t changed much at all since the above photos were taken. I got to look at those, too. 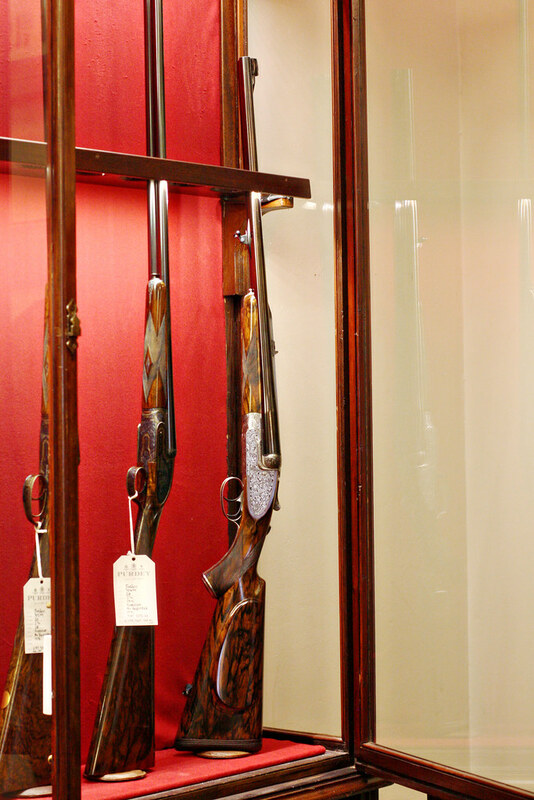 I was shown a couple of guns close-up by the knowledgeable David, who’s worked in Purdey for a very long time. Demonstrating. It’s very, very heavy. Customers can either buy an off-the-peg gun, which can then be adapted to fit their measurements, or they can buy something bespoke, a process which takes a full two years to complete. The stocks are made from Circassian walnut, and people can choose theirs depending on the grain and colour. There are different types of action, and the actioner will spend 100 hours getting it perfect. The barrels are machined to within a remarkable four-thousandth of an inch. 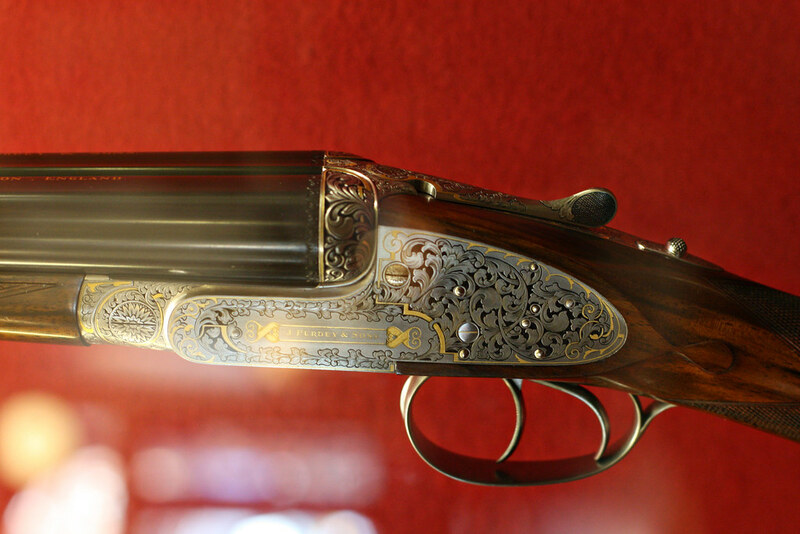 The engraving (as seen above), ‘help[s] turn the shotgun from a cold metal object into a thing of beauty; it [also] traditionally served a practical purpose, with discreet engraving softening the face of the metal, lessening reflection which might otherwise turn game.’ You can have the traditional ‘Rose and Scroll’, a game scene, or something else that might take your fancy (within reason). The finishing alone of each gun takes over 75 hours and the processes are spread over three months. For all these reasons and more, the gun I’m holding costs nearly £100,000. But it’s truly meant to last a lifetime and more – the wood of a brand new piece deliberately juts out over the inset metal bits, so that after years and decades of use, wear and reconditioning, it will look even better. Because of the long history of the company, and, of course, the meticulous record-keeping, I got to see one of his Highness’s actual orders. 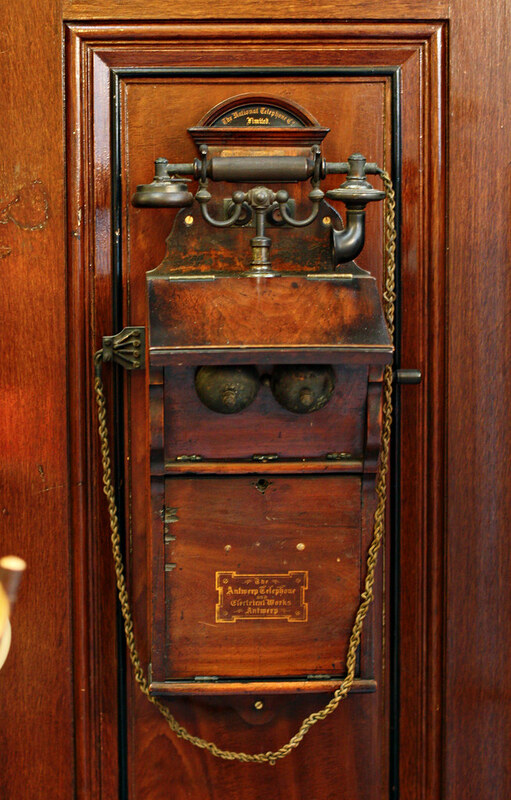 Among other specifications, he ordered it hammerless, so no flintlock hammers, and with a pistol hand (the extra bit that if you covered the end of the stock, it would look like a pistol) – exactly like the gun pictured at the end of the cabinet above. Sadly, I’m not allowed to show it. 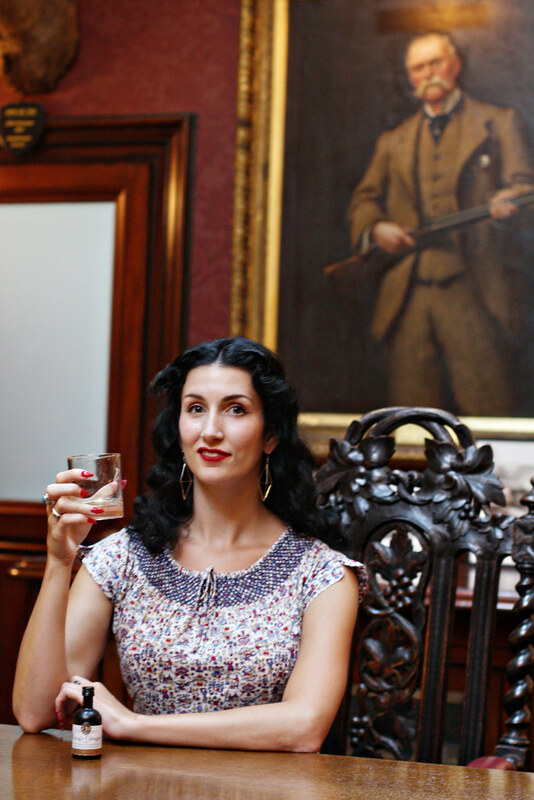 After all that investigative journalism, what else was there to do but toast the King under the watchful eye of James Purdey the Younger! I should have lugged a full-size bottle, really. For a longer, season-appropriate King’s Ginger cocktail, give this one a try if you have any on hand… and if you don’t, then you should definitely track some down! Tis most definitely the right time of year. Thank you to the kind staff of Purdey for entertaining and educating me for hours, hope you’ve enjoyed reading even if you, like me, could never go hunting! Goodwood Revival – the 2015 edition! Well indeed, I do eat meat but I'm a fussy one for welfare. I often think about going back to veggie! I really enjoyed casting my eye over that super entry. The quality of well-made things and the history behind them is just astounding. Now for a King's Ginger! You are definitely dressed for the occasion! And I do have a new found love old generation guns. Nice vintage photos they wearing some hats and caps. i found something similar in http://sterkowski.com store.